Bigfoot has been running INSET, Team Building workshops and Creative Consultancy programmes in schools and organisations since 2000. The overwhelming success of these programmes is vastly due to the dynamic, fun and kinaesthetic approach to developing teacher’s confidence and ability to utilise their newfound creative skills in the classroom. Each of Bigfoot’s INSETs, whether just an hour, half or full day, is created specifically for your school so that your teachers needs, as well those of your school, are catered for at all times. 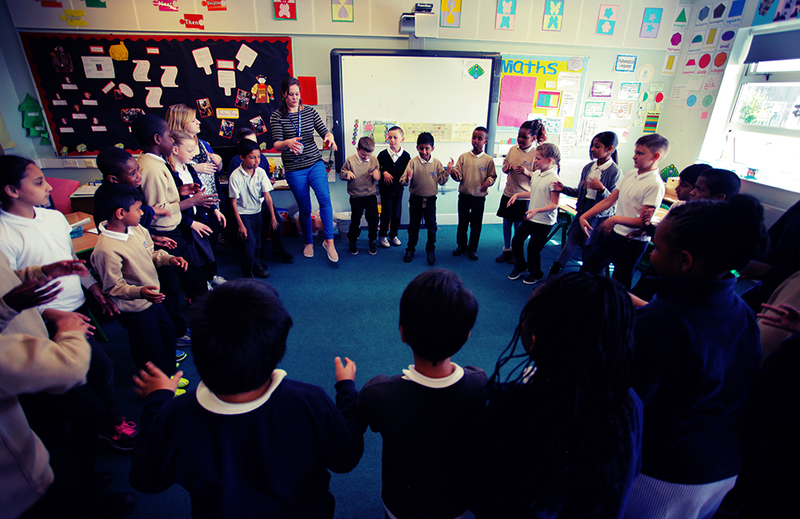 Share drama techniques that will engage, energise and challenge both teacher and students alike. 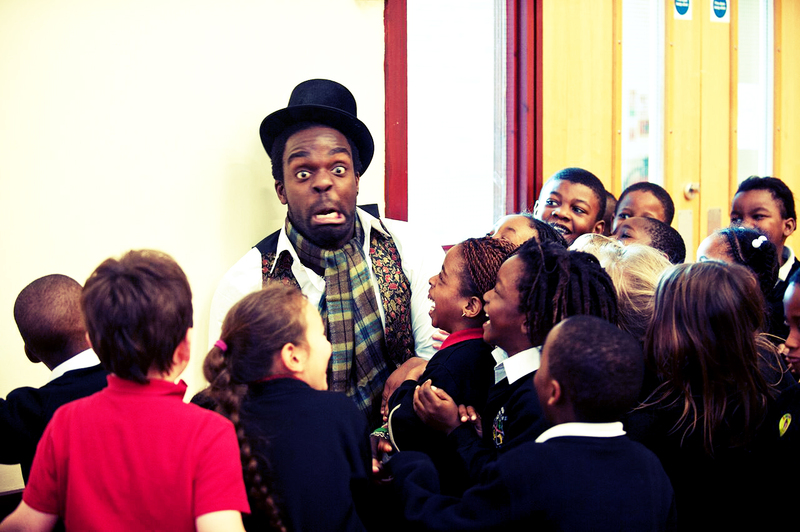 The aim of Bigfoot’s creative consultancies is for teachers to learn how to utilise the expertise of trained drama practitioners in order to enhance the teaching of the curriculum. WHOLE SCHOOL INSET- to engage and excite teachers about the work that will be carried out in the school. PLANNING- spending time with class teachers to discuss and plan each lessons due to take place. SHADOWING & SUPPORTED DELIVERY-demonstrating and then giving feedback on all creative exercises delivered. 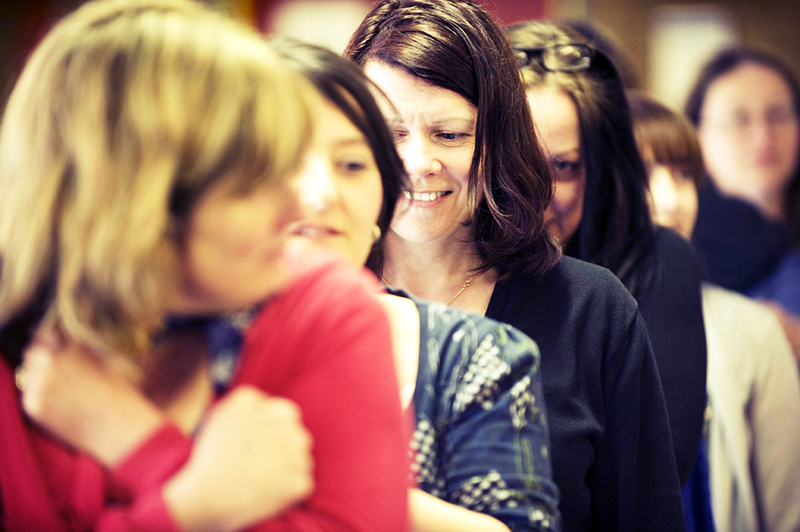 Do your teachers need an energising creative boost at the start of term? Would you like to kick start your start of term INSETs with something new, refreshing and inspiring? Then look no further than Bigfoot’s very own Adrian Benn! Whether it’s a short session at the beginning of an INSET, or something longer to reinvigorate energy levels and provide a kit bag of new adaptable games and activities to be used in the classroom, Adrian is ready to inject energy and enthusiasm into your group and help them shine.